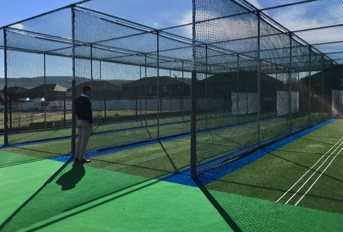 ​The construction of two 30m x 2.74m wide non-turf match play wickets to ECB approved specification; one located on the edge of an existing natural turf table the other adjacent to the new non-turf practice net facility. 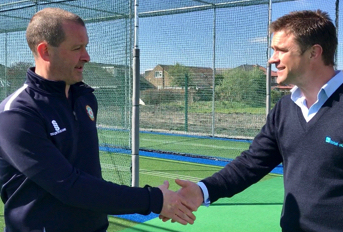 Also, the conversion of two existing macadam tennis courts into a 3 lane tp365 ECB Approved Pitch System; to include a bespoke sight screen at the rear of the facility. A partnership approach saw local government, community groups and charities come together to work on funding bids to bankroll the redevelopment of the 8.2 hectare site, formerly known as the Southall Municipal Sports Ground. 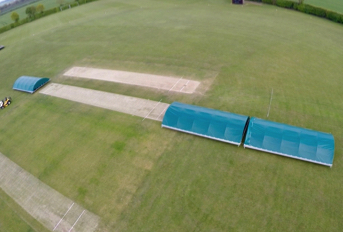 The ambitious plan for new facilities was split into phases; with first phase of work to involve the construction of a new four changing-room pavilion to provide a ‘hub for sports’ within the park and also space for other community and recreational activities. 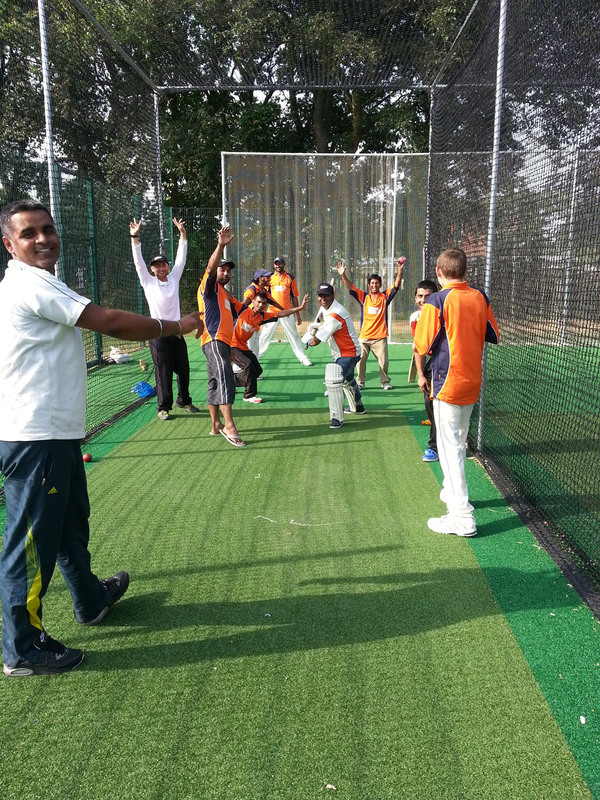 This was followed by the conversion of one of the three tennis courts into a 3-lane non-turf cricket practice system and the construction of two natural-turf cricket tables. 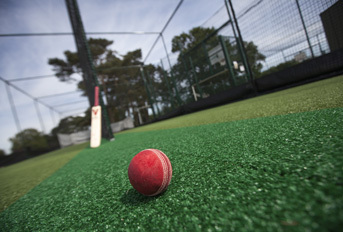 The existing cinder running track, which is heavily used by the community’s walkers and joggers, has been retained and the final phase involved the construction of a 3G football pitch in late 2013.
total-play’s involvement in the project was by appointment of lead contractor Blakedown, to meet England & Wales Cricket Board’s (ECB) directive that the non-turf cricket facilities element be built to a design pre-approved by the ECB itself; and works carried out by a contractor who has met all the criteria of its ‘Code of Practice for the Design and Installation of Non-Turf Cricket Facilities’. 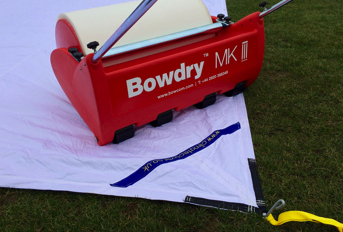 The total-play team undertook the entire project from scratch; including the excavation and cutting out of macadam on the existing tennis courts, the installation of a suitable aggregate sub-base and laying of shock pads and carpets. 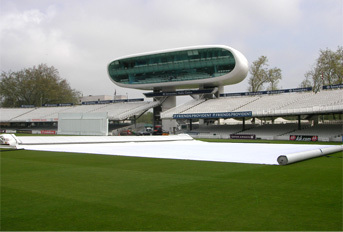 The system was then fitted with its tp365 ECB Approved Pitch System and was the first was the first to benefit from total-play’s HD Protection Tunnel Netting – an upgraded version of the company’s popular ‘cocoon’ netting system that protects players from balls flying from adjacent lanes by eliminating gaps in the net. 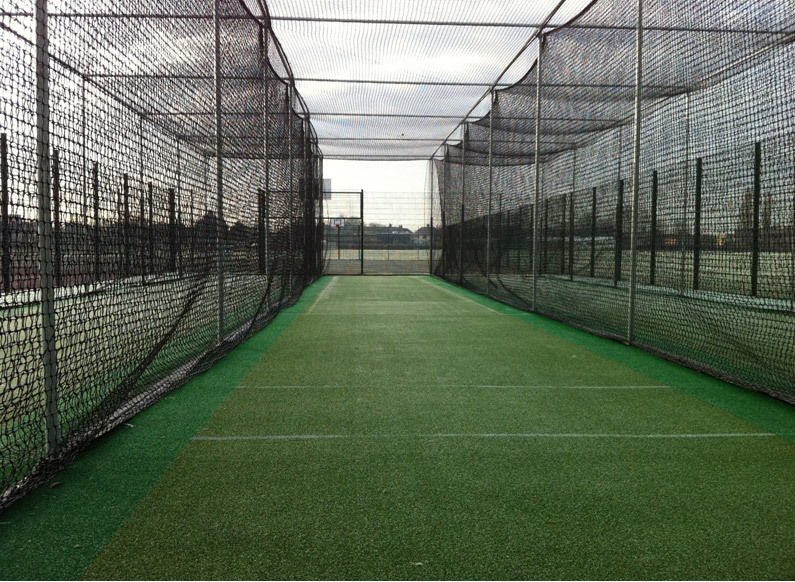 4m high steelwork was erected to house the netting system and, to meet the client’s brief, a bespoke sightscreen fitted at the rear of the facility that also acts as a catch net to prevent cricket balls striking the surrounding twin-bar fencing.